This week’s winner is @mistyslife for her picture of NYNY. This picture was taken from behind the property looking down to capture not just the buildings but the roller coaster as well as the pool. She submitted a lot of picture from her helicopter ride and considering the angle this once is taken at, this appears to be one of them. We are big fans of pictures with unique views of Vegas and this picture can definitely be included in that category. 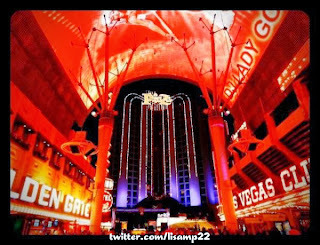 This week’s winner goes @Lisamp22 for her picture for Fremont St. Fremont St is one of the places that could have every inch of it become Twitpic of the week at some point. I love all the neon, the experience, the old school properties and just the overall vibe. 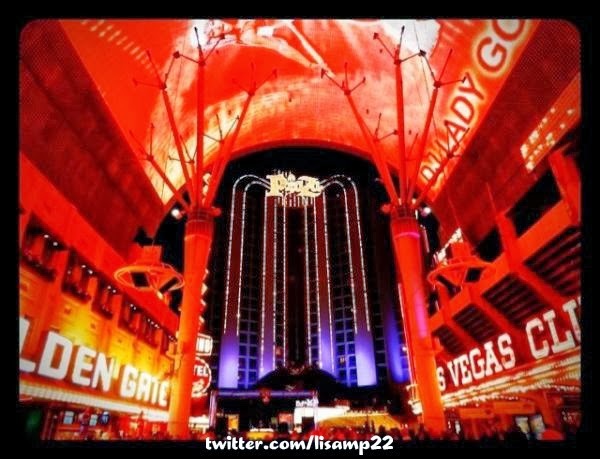 Lisa’s picture focuses on Plaza as the centerpiece of the picture while including the experience in action, the Las Vegas club and Golden Gate. It’s fun picture that gets you fired up to go to Vegas. 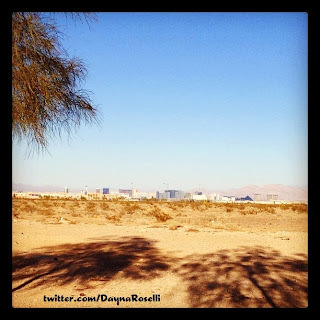 Random Vegas - By 1955, Las Vegas attracted an estimated 8 million visitors. That was more than the Washington Monument, Mount Rushmore, Yellowstone National Park and the Grand Canyon combined. (Las Vegas: an unconventional history book). In 2011, Vegas had 38.9 million. This week’s winner is from @DaynaRoselli Many people will know Dayna as the morning news anchor at Vegas CBS affiliate KLAS-TV. We know got to know her because almost every week she has a picture that is nominated for Twitpic of the week. She has a great eye for the unique beauty that is Las Vegas but this week she has out done herself. 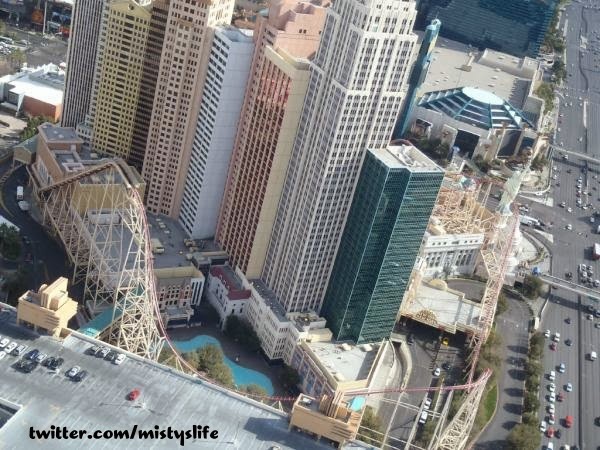 This picture is a shot of the entire strip from a distance. What is unique is that she made a point to show in the foreground, the dessert. In fact the majority of the picture is dessert and in the distance you can see, almost like a mirage, the Vegas strip. I love this picture. Every once in a while, I see a picture that I know is unbeatable for the week and this was one of them. I knew it was only a matter of time before Dayna won and I’m so glad it was with this picture. Well done. Random Vegas - On May 23rd 2009, Pat DeMauro rolled craps for 4 hours and 18 minutes before crapping out. She hit 154 numbers while crushing two all-time craps records. Pat was having no luck that night when she and her friend decided to take the last $100 they would spend that night on craps. If she lost, they would get something to eat and go to bed. The Casino lost $185k on ther historical run. This week’s winner goes to @VegasBill for his picture of the Palazzo Dragon in celebration of the Chinese New Year. 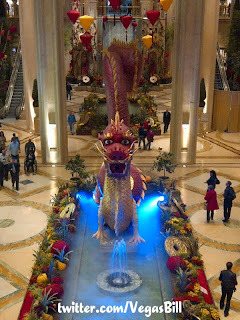 This picture is taking from the balcony looking down so it really helps to give you a sense of the size of the dragon. Venetian confirmed that he will only be up until end of Feb, maybe March so if you get the chance to check it out, I would suggest doing it. I will not be able to so I’m glad we were able to add a picture of this 128 ft dragon to our collection. Slots - WMS Gaming: Airplane! 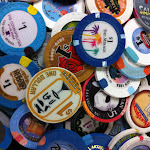 Jan 2012 "Luckiest Casino in Vegas"